UVF flags go back up at Ravenhill Road. The erection of UVF flags in east Belfast has been condemned. The flags were hung from lampposts along in the Ravenhill Road and Ravenhill Avenue areas in recent days. The flags have appeared weeks after a community group linked to the UVF announced a flags protocol for the area. 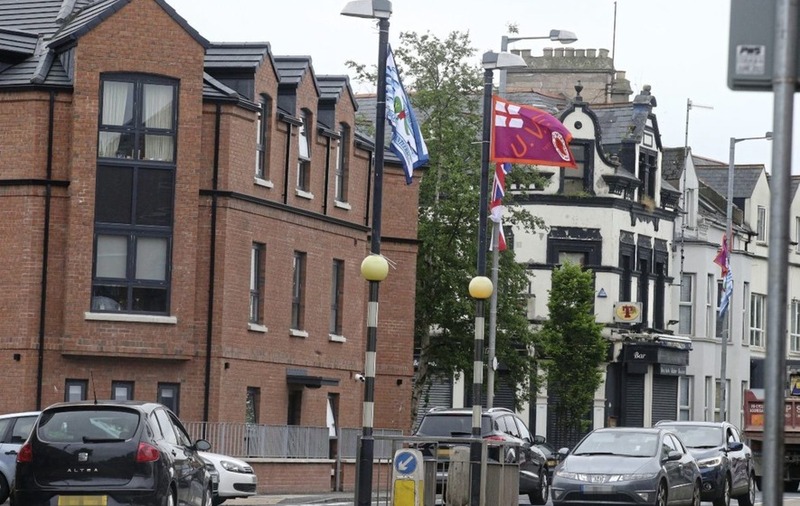 Under the proposal the East Belfast Community Initiative (EBCI) has said only legal flags will be put up between June 1 and removed by October 7 at the latest each year. The protocol includes what loyalists describe as 'historical' UVF flags but which are viewed by many as the banner of the modern UVF. There area where the flags have gone up is close to a mixed housing development at Cantrell Close and Global Crescent. 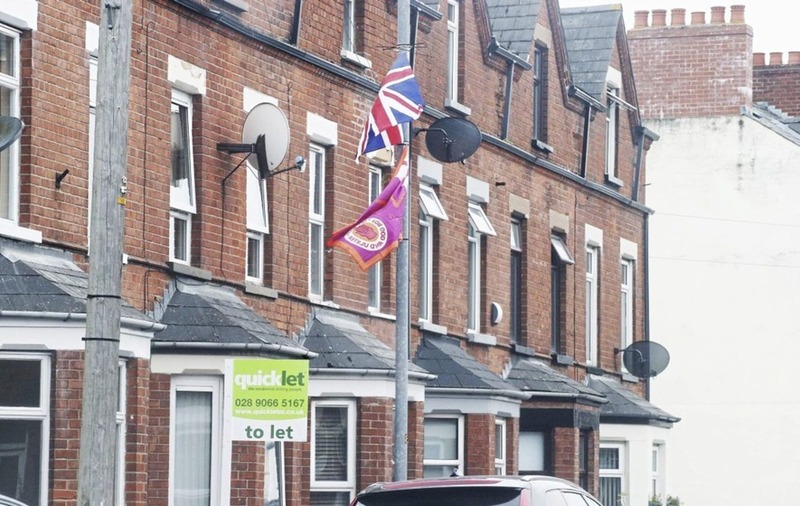 There was controversy last year after other UVF flags were put up in the shared housing development and several Catholic families were later forced to flee their homes after loyalist threats. 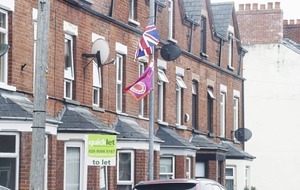 Last month UVF flags were put up outside the shared housing development. Loyalist blogger Jamie Bryson later said the flags were "not the work" of the UVF, and were removed after a loyalist group had "discussions with people who would mediate on behalf of those linked to east Belfast UVF". Banners remembering republican attacks carried out during the Troubles have also recently been put up in the shared neighbourhood. 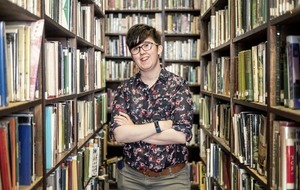 Green Party MLA for south Belfast Clare Bailey said she will meet with police this week to discuss the issue. "I totally condemn the flying of paramilitary flags,” she said. 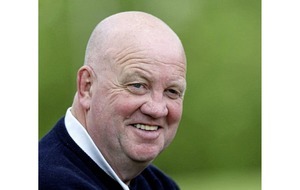 “They are used by criminal groups to assert control over communities. Meanwhile, Radius Housing, which oversees Cantrell Close and Global Crescent, has said it is reviewing CCTV footage from the area. 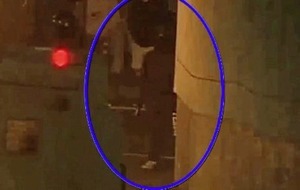 A spokesman said: "Radius is reviewing footage from any CCTV within the Global Crescent area and any relevant footage will be passed to the PSNI."